They follow the paradigm of many fables and urban legends that could be considered to be one of the few earlier instances of a more ‘viral’ culture. Fantastical stories were not being spoken in hushed tones over campfires but over shared pages, all with vivid imagery. And as legends go, they get retold, adapted, reimagined thousands of times in thousands of ways, but the essence of the story never changes. 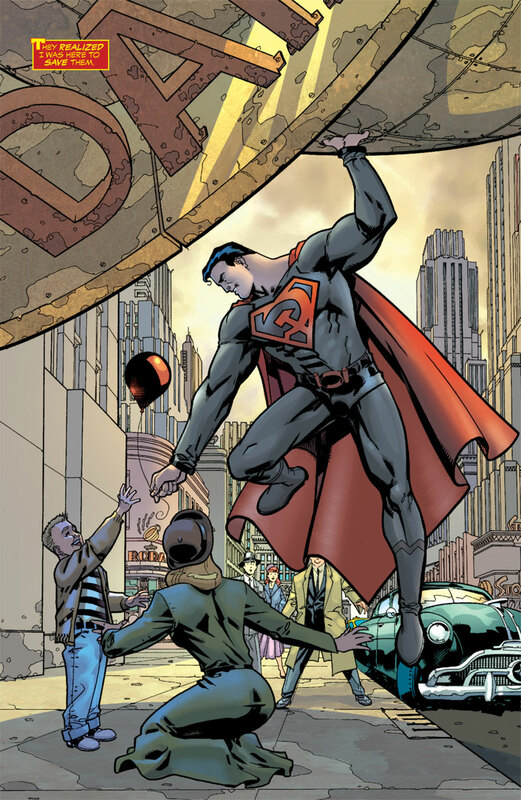 Superman’s origin throughout his history has adapted and reimagined, from the traditional landing in Kansas on his spacecraft and landing in Russia, growing up to be a symbol of Communist might in Superman: Red Son. But the image of the perfect man, one of strength and a yearning to do what is right, whatever that ‘right’ may be, was still intrinsically entwined in Superman’s personality. And to sum it up, we know these origin stories. Even if you’ve never actually read a comic in your life. Batman, Spiderman, Superman, Hulk, the very mention of their names bring images flooding into your mind’s eye, stories of tragedy and extreme loss, that moment of enlightenment, discovery and resolution. These are the stuff tragic heroes are made of. Kevin Conroy, the infamous voice artist who has portrayed Batman in many an animation, often compared the personage of Batman to Shakespeare’s Hamlet, a man haunted by the loss of his father, propelled by his need for absolution and vengeance. One would only have to go as far as DC / Vertigo’s Fables, the title the reimagines urban legends of old in a really unique, imaginative form of storytelling. Telltale games certainly appreciated it. Which came first. The Chicken. Or the Egg. The Comic or the Television. Well not as intriguing a question, obviously the comic, but what is intriguing is the way one has influenced the way in which we view the other. Before the 40’s, film tended to be viewed all in WS; people scurrying around, much detail being lost in the footage. But something awesome happened. WW2. Okay, maybe not World War 2, but what came with it: The Action and Adventure comic. Panels and spreads that explored themes of war, exploration of strange lands, action and danger and hatred for the ‘Axis of Evil’ and all things considered ‘un-American’. Comic artists till then pretty much had the same issues the film guys were having, artwork that had certain details lost in the wide. But then the comic artists thought ‘Hey, I could move in tighter in this panel to show character’s emotion, maybe move a bit further out to show him taking out a revolver in the next panel’. And there you have it, the comic book guys invented camera distances. The same camera distances that began making their way into film knowledge 101 shortly after the influx of dynamic comic panel art of the 1940’s. So the comic has been a integral part of film history before any director decided to interpret a superhero on screen. And it is this intertwined history that allows for easy translation. Storyboards, the art of breaking films sequences down to panels used in film production, could, in many ways, be seen as a form of a comic. In the same way the comic could then be seen as the preliminary of a film. It just needs a few translated strands and ‘tinkering’ to make it work in a filmic sense. And yet many directors still get it wrong. The visual element dynamic in comics operates in the same paradigm the film does; lighting, mise-en-scéne, composition, all exist to communicate a certain train of thought, so much so a comic artist can imply an action without ever drawing a particular panel. Love. Loss. Triumph. The downtrod common man overcoming hardships and obstacles. The same type of common man becoming victim to circumstance to become villians.These are our celebrated stories, mixed with David/Goliath fantasies, Phyrric victories and overwhelming triumphs. And this reason is why the comic was been one of the profound pass times of our history. A narrative’s true power comes from the ability to transcend the mundanity of the every-day but no matter how fantastical the story, it is still rooted in the reality of man. The reality we all share. The themes that join us together as humans. It is how we connect emotionally with a comic. The love-hate relationship with villains who answer to no-one but their wild spirits. Heroes that transcend the flawed human characteristics to become the pinnacles of perfection, retaining modesty and truth. Our comic heroes and anti heroes and villains are who we are and who we aspire to be and who we fear becoming. They are our stories filled with fable and wonder, bring us closer to what it means to be quintessentially human. These three factors ensure that the comic existence in film, whether live-action or animation, is here to stay. Not to mention new media platforms like online and video games, adds a unique level of interaction that allows partakers in these universal narratives to delve deeper and become heroes and villains. But like everything else, anything overused and misused has the ability to become banal. So the film industry will soon have to stop parroting ideas ripped from the comic and, ironically, take a valuable lesson from the page of comic books once again: reinvent, reimagine, tell stories from a different perspective and discover new stories that all contain within them a balance of the fantastic and emotive, omnipresent human.